Did you know that bears go to sleep for a long time until the cold winter is over? 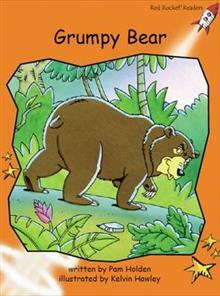 The other animals play and make a noise, but that makes Grumpy Bear cross. He cant get to sleep because of the noise. What does he do?